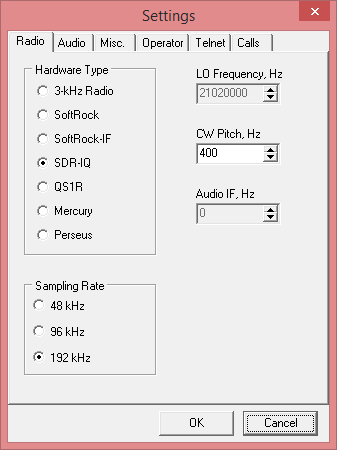 Apache Labs ANAN-200D , Orion firmware rev. 5.0. 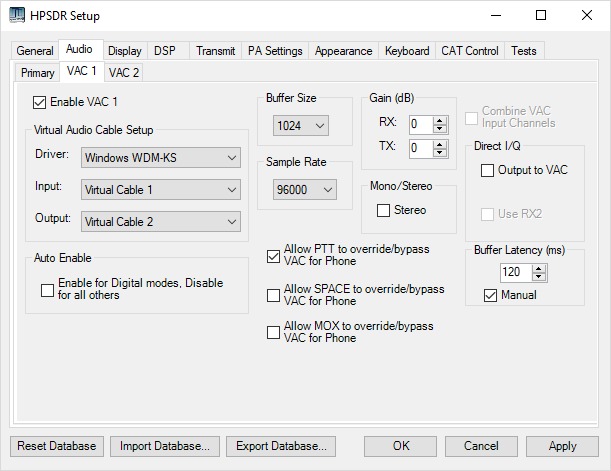 PC: Workstation, ASUS Z-97 USB 3.1. Intel i7-4790S @ 3.2GHz. RAM: 32GB. Disk: 1 * 256GB M2 SSD + 2 * 240GB SSD. 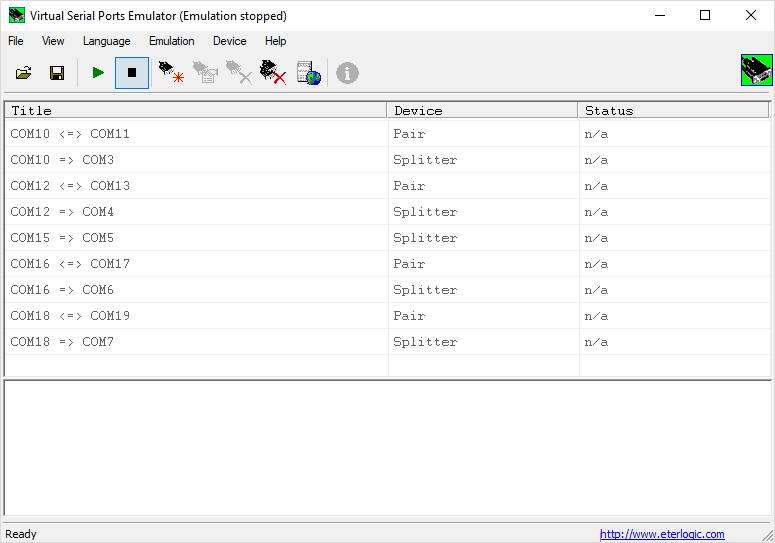 When I do firmware upgrades of my ANAN rigs, I use HPSDRProgrammer. 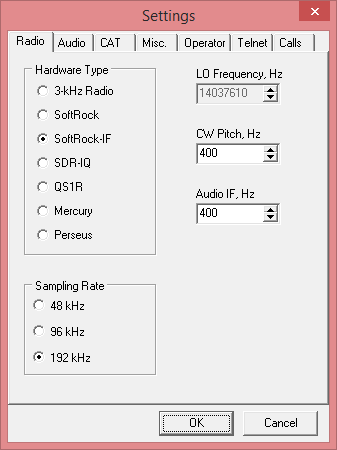 From my setup 1 (with ANAN-200D), please observe the screenshots are from when I used PowerSDR 3.2.24. 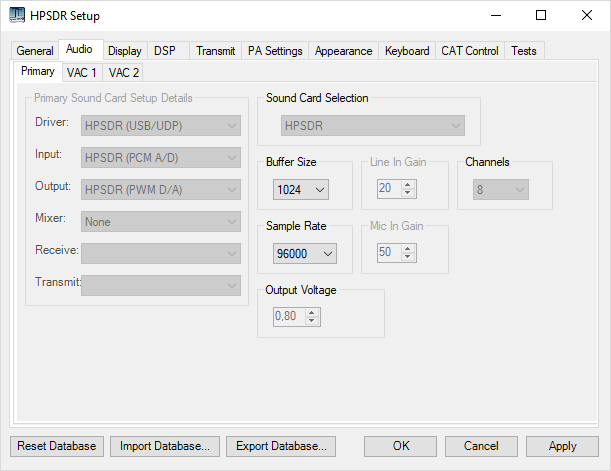 This is a screen shot of my VSP setup. 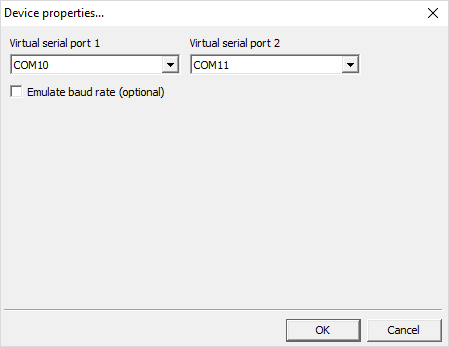 I have 1 physical comport, a Deltaco USB to serial adapter. 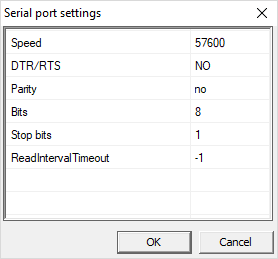 This port is in WIN10 set to COM15. All other comports are virtual. COM 10 to COM11 is a pair. 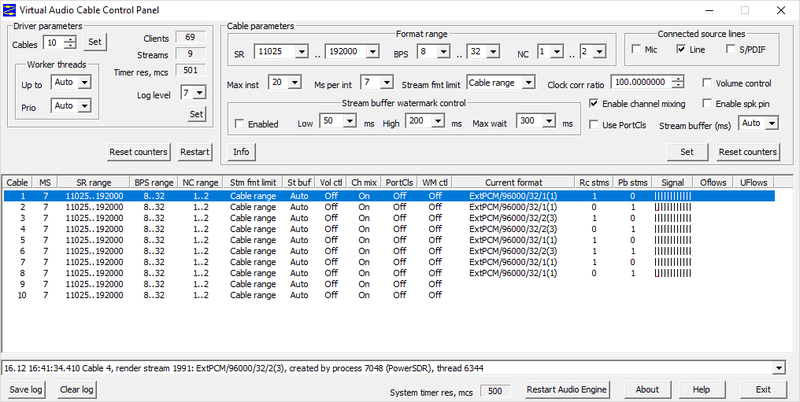 My ANAN-200D is virtually connected to COM11, you can see the CAT settings further down on this page. COM12 to COM13 is also a pair. 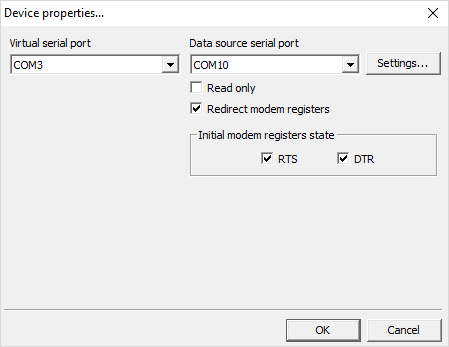 COM13 is virtually connected to the PTT port of my ANAN-20oD. This pair looks the same as COM10 to COM11 above. COM12 to COM4 is a splitter. 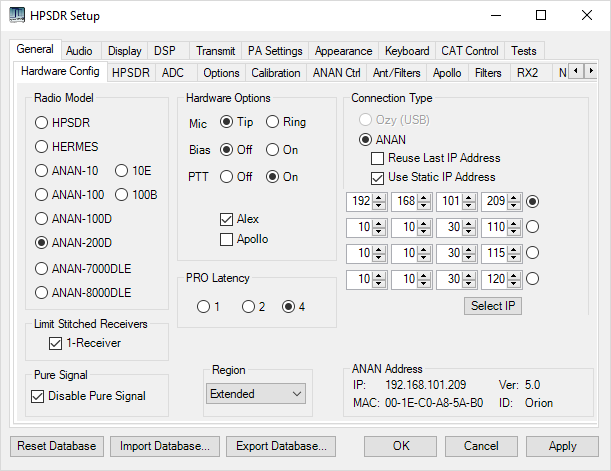 So any software that should key the PTT of my ANAN-200D is connected to COM4. Exactly the same setup goes for COM6,7,16,17,18 and 19. But they are for my ANAN-10 which I can run at the same time as my ANAN-200D. COM15 to COM5 is also a splitter. But COM15 is a real physical comport. The K1EL winkeyer is connected to this port. And here is the settings for this ports (note the baudarate and stopbits). I can connect for instance N1MM logger to COM5 and do automatic CW. 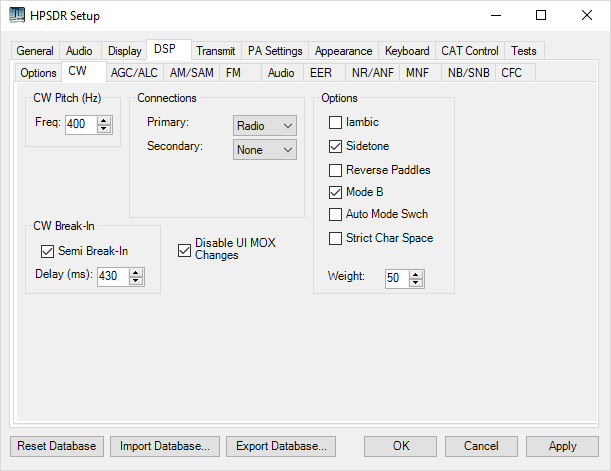 I have 4 VAC channels to each radio and 2 more to play around with, for instance when I run HDSDR and SDRplay I can channel the signals from HDSDR to for instance Spectravue or so. 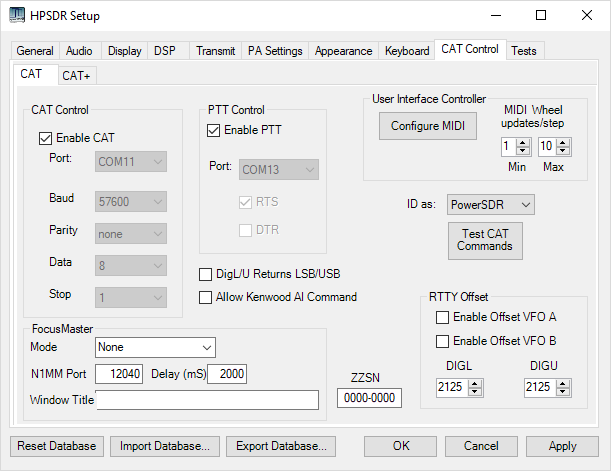 I can choose to run I/Q or not in the OpenHSPDR software. 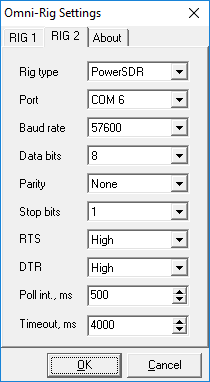 The reason for me going with 96k sampling rate is that for instance WSJT and MAP65 are developed for 96k. I run 2 openHPSDR at the same time. I simpy install one instance and then copy the entire openhpsdr in program files(x86) to a new directory (this step might not needed) and when I start openHPSDR I need to state the data path in the shortcut, for instance: “C:\Program Files (x86)\OpenHPSDR\PowerSDR mRX PS – 10\PowerSDR.exe” -datapath:”C:\Users\USERNAME HERE\AppData\Roaming\FlexRadio Systems\PowerSDR ANAN_10″ for the second instance. 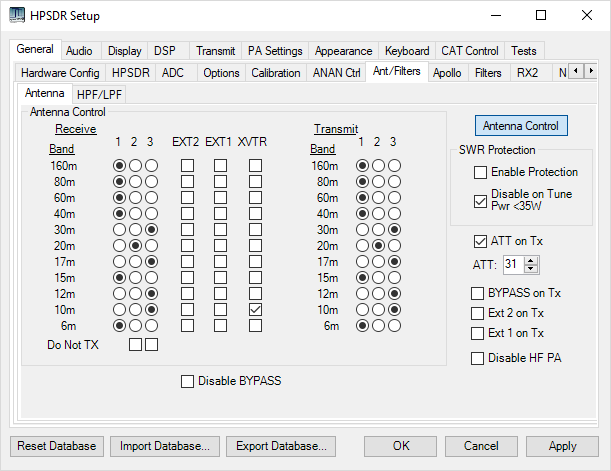 Some setup changes for my antenna setups. Here is the audio tabs. Sometimes I had to set the Driver to MME and not WDM-KS but I do not remember why/when. 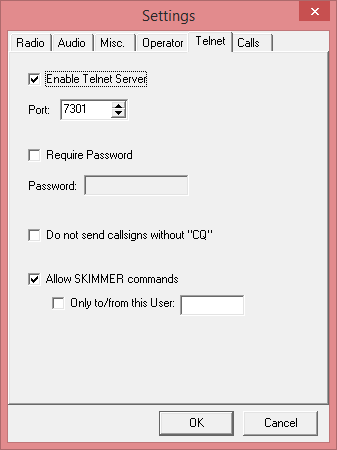 When using CW skimmer and choosing direct I/Q on the next tab (VAC), I’ve noticed that sample rate must be the same here as on the next tab and in CW Skimmer. Otherwise there will be error messages and OpenHSPDR will not start. 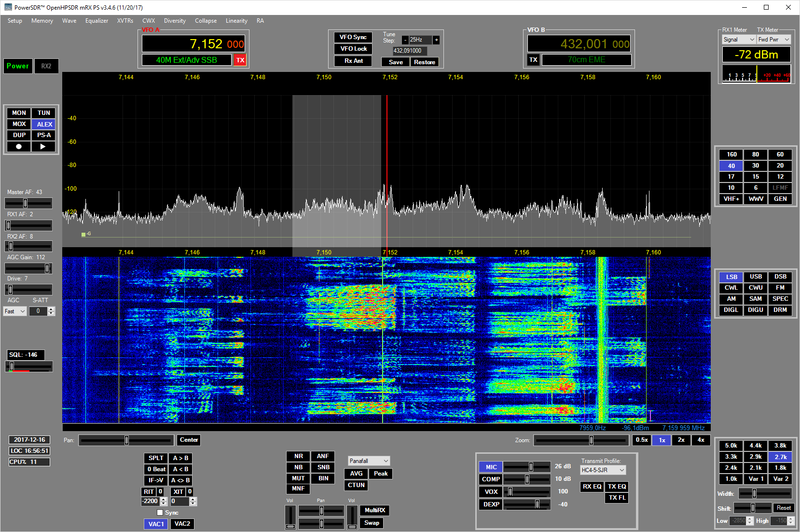 It is pretty cool., I run WSJT-X and WSJT at the same time for example. Go virtual and go software defined, it opens up so much possibilities. 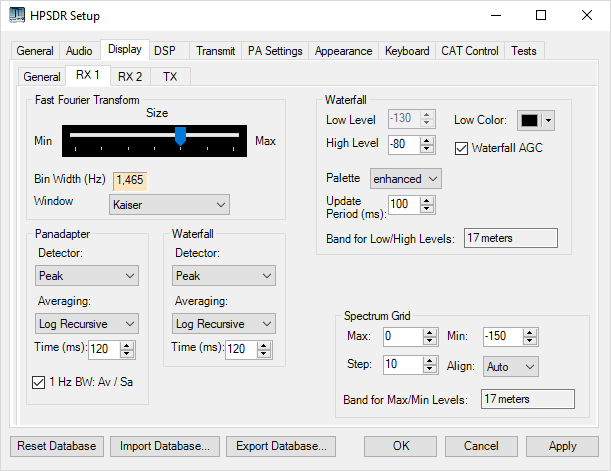 I’ve changed the Fast Fourier Transform slider, otherwise the waterfall looked like crap. If this also brings some other phenomenas I am not sure of? Of course I lowered the CW pitch. I have a Heil ProSet Plus Headset direct connected to the Anan-200. 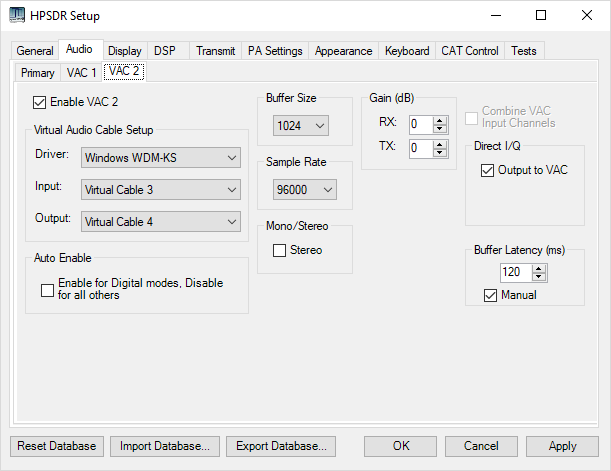 Some folks say I have a bit weird settings, but it seems to fit my voice nicely. 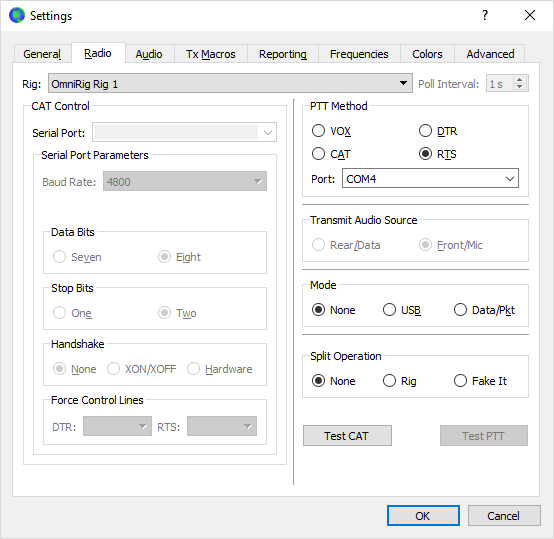 Here is the settings for the PTT and CAT Control. 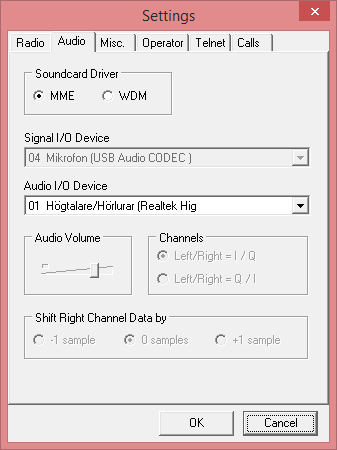 Here is a screen shot of my running OpenHPSDR, one of them. 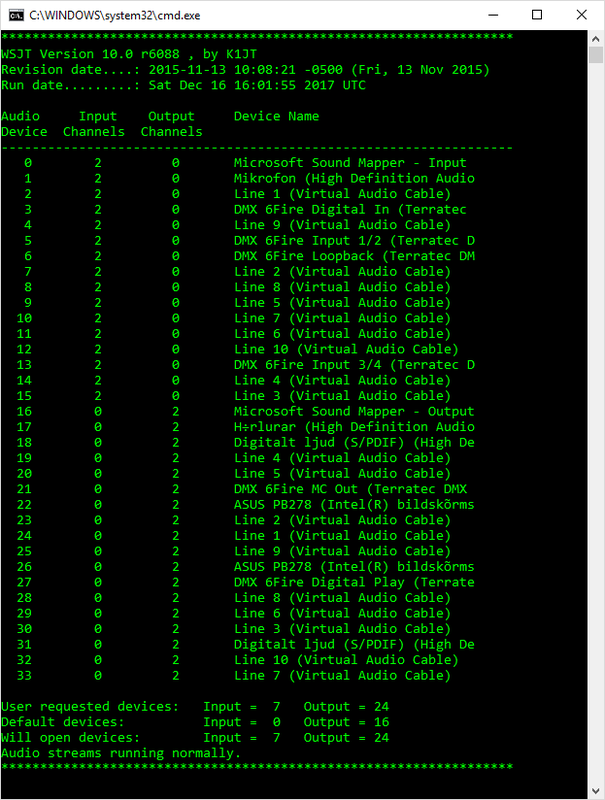 I use omnirig for both rigs to talk to other softwares, it is so simple to setup. JTalertX, not so sure I need to show any screenshots, it is pretty selfexplaining. 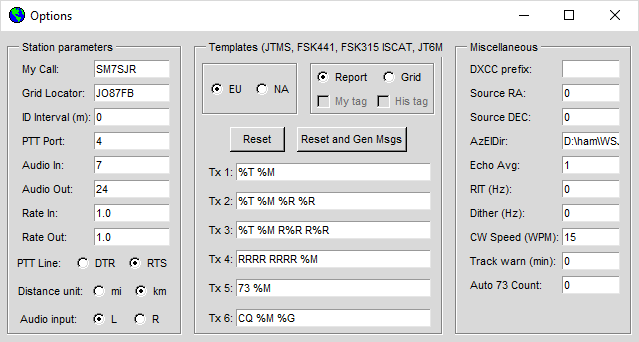 When I WSJT-X I usually have 2 instances running, I also have 2 instances of JTalertX running, simply start 2 of them and of you go! PLEASE NOTE THIS SECTION BELOW IS OUT OF DATE! CW Skimmer setup. Actually I run 2 skimmers in the same computer. 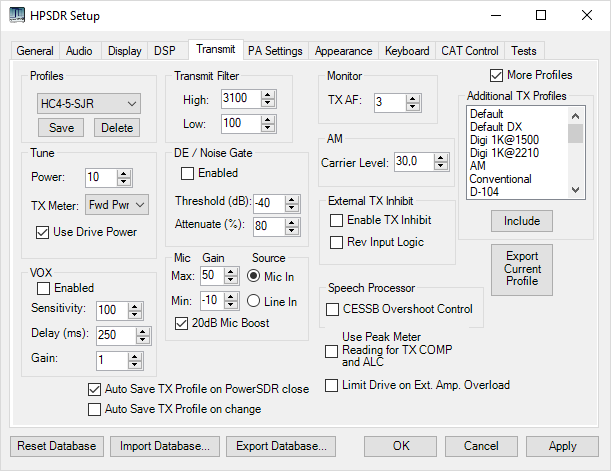 Here is the settings for CW Skimmer no 1, which is connected to the ANAN-200D. 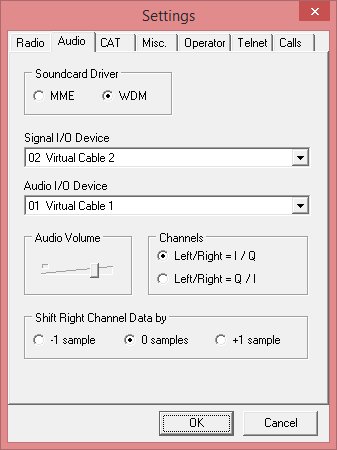 Setting the SoundCard driver to MME instead of WDM enables sound in the PC speaker from the CW skimmer. Pure signal. 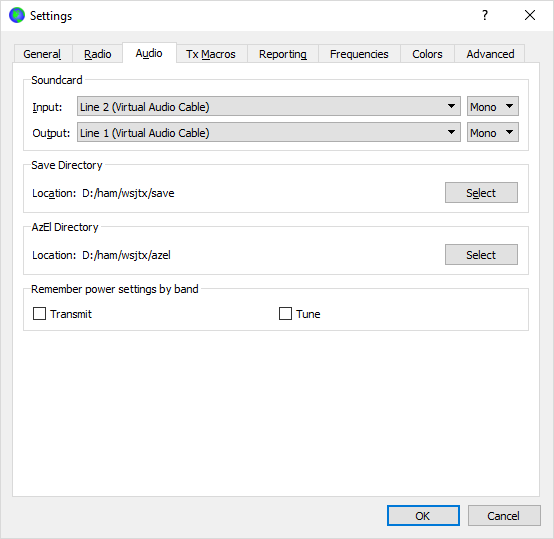 Someone on the internet wrote a nice tip on using PureSignal when running an amp. If having wavenode power meter with probes which has RF view ports. 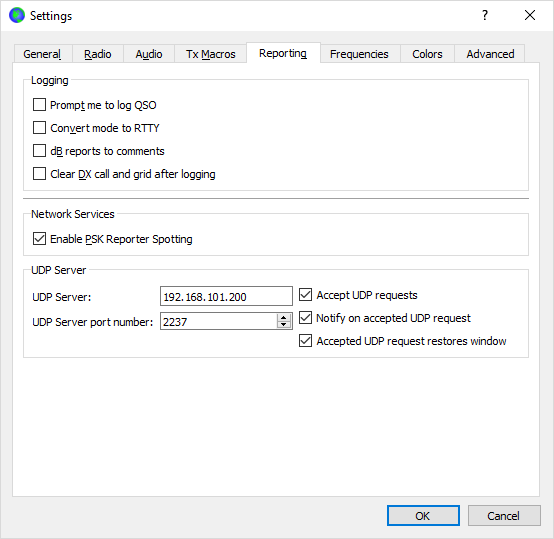 These ports can easily be used as feedback to the rig for PureSignal purposes. Since I am using wavenodes, I am grateful for the eye opener.